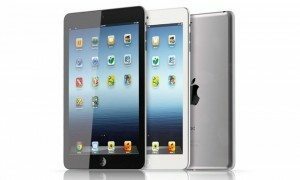 What Do You Need to Pawn iPads? You really don’t need that much! Obviously, some accessories that are necessary to just operate and use the iPad are required such as the charging cord and the charging brick. Other than that, the other items are optional but are definitely suggested because we’re able to give you far more cash for your pawn loan with them. The most important of these would certainly be the original box and paperwork. Having the original box raises its value as think about if you were purchasing an iPad from someone, you’d want the box with it right? Just because we can give you more cash for it makes it worth it to you to fish the box out of that closet it’s hiding in. But don’t let that limit you! If you don’t have the original box, that’s okay! It’s not the biggest deal in the world to us, we can still get you that fast cash that you need for Pawning your iPad. We’re sure that you have the charger otherwise you wouldn’t be using it, so with just the charger we can still get you that loan that you need. Let’s talk about the last thing: iCloud. One thing that we do require prior to pawning an iPad is the removal of iCloud from the device. Why you ask? Because of iCloud’s unique ability to completely render an iDevice completely unable to be used. By simply logging into iCloud online, the person who is logged into the account can very easily just lock the device meaning we aren’t able to access it. Normally, we’ll assist you with this in store, but it’s just a precaution so that you’re aware when you come into our store. When you pick up the item it’s as easy as just signing back into iCloud once you have the item back, so don’t worry about losing any data or anything like that.